Erica Dhawan wants to help cannabis professionals connect in intelligent ways, including focusing on collaboration among employees and building alliances with other businesses. That way, as your business grows you don’t have to rely on your organization alone to scale up, you have partnerships and networks to help you expand. “Those that really think about how to partner and how to build those strategic alliances will be those that win in the next decade,” according to Dhawan. 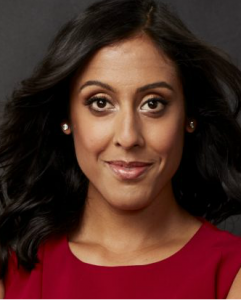 In addition to writing “Get Big Things Done: The Power of Connectional Intelligence,” Dhawan founded New York-based Cotential, a global consulting firm, in 2012. Through Cotential, she advises business leaders on strategies to better serve clients. In the ’90s, common management strategy buzzwords were “emotional intelligence,” but Dhawan now advocates for a different management strategy in today’s business climate: connectional intelligence. “It’s not about being able to read emotions, it’s being able to find, discover and connect the dots to bring in the right networks to solve problems and grow,” Dhawan said. Dhawan will lead a session on business management at MJBizConNEXT May 9-11 in New Orleans. Marijuana Business Daily spoke with Dhawan about some management best practices. What type of culture should cannabis businesses be fostering? Are you cultivating a collaborative culture? What ways are you enabling people to look beyond their position to how they’re contributing to those outside of their own role? How are you aligning your goals to collaboration? Are you promoting and paying people based on their individual collaboration or are you designing ways for them to contribute outside of their silos and designing incentives to further engagement across colleagues? Are you creating a way for people to have productive conflict, to actually see difference – and different thinking – as an asset when it comes to success in this industry, which is in continual change and growth? What do you see as key weaknesses in cannabis businesses as it pertains to management? The need for systems and processes and structures that allow for collaboration when people are very much heads down, building their business and adapting. The cannabis businesses out there now have the first-mover advantage. We know that Friendster came before Facebook, and there were other car-sharing companies before Uber; but they weren’t able to grow at the scale in the market. In a fast-growing industry like this one, oftentimes there’s a tendency for businesses to perceive that they know what their customer needs, and then rush to that assumption – instead of really taking their time to learn from their own customers and doing the adequate market research needed to deliver the right value. So how do you respond to these weaknesses when managing your cannabis business? Focus on strategic alliances and collaboration across the cannabis industry. What are ways that you can partner, that you can quickly scale by not just relying on your own organization? Take lessons from other industries. Study, for example, what Tesla’s doing to build partnerships across its supply chain. Two years ago, Tesla released a patent externally, not just for competitors to use their patent but so that people across the ecosystem would build on their electric car patent and as a result help grow the industry. It improved the possibility for more battery-charging stations across the U.S., but it was also really for Tesla to be able to leverage the knowledge outside. That’s an example of something that’s really a different approach to learning and to growing. Actually giving away value as a way to gain value. Look for those different approaches. In terms of management strategies, what would you suggest to companies that have secured licenses in emerging markets? A strong focus on talent and hiring the right people. A strong focus on the culture you build. In fast-growing industries, a lot of the focus is on profitability and growth, but talent and culture – as we all know from the quote “culture eats strategy for lunch” – are the key tenets that make or break success for any organization. Who are the right people in your mind? The most critical thing that leaders should be looking for and hiring for is what I would call an ownership mindset. People that are able to accept change, that have a bias for action, that are known as influencers or change agents, that don’t get stuck in their silos of expertise, but constantly adapt to an environment that is disrupting every single day. What do you see as some interesting trends in the cannabis industry, specifically through your lens as a management expert? As we move into more opportunities for more luxury cannabis brands, like tequila and wine and beer, I think the shift is from selling the product and service to designing experiences. Also the ability to not only gather the correct data, effective consumer research, but to design ways to connect customers together, is a powerful trend that I think will allow certain companies to grow and others not. Do you have any advice on how a cannabis business might capitalize on these trends? It all starts with hiring and developing your people to think like superconnectors and change agents, to constantly be learning not just within the industry but across industries. And to design ways for individuals to contribute beyond their day-to-day jobs. With that approach, you’ll be able to tackle any of these trends that are coming.